Whether the term “people power” conjures up the Oakland-based Black Panthers’ slogan “Power to the People” or the anti-Marcos rebellion in the Philippines, when people get together as a group to fight for self-determination, that’s people power. People power can take form in political protests, but it can also be subversive, like reclaiming control over food access and creating economic empowerment through worker cooperatives. Join us in visiting and learning from two Oakland businesses using creative economic models to subvert conventional systems and work toward equity and sustainability. Mandela Grocery Cooperative is a worker-owned grocery store working to increase access to healthy food and build the local economy. 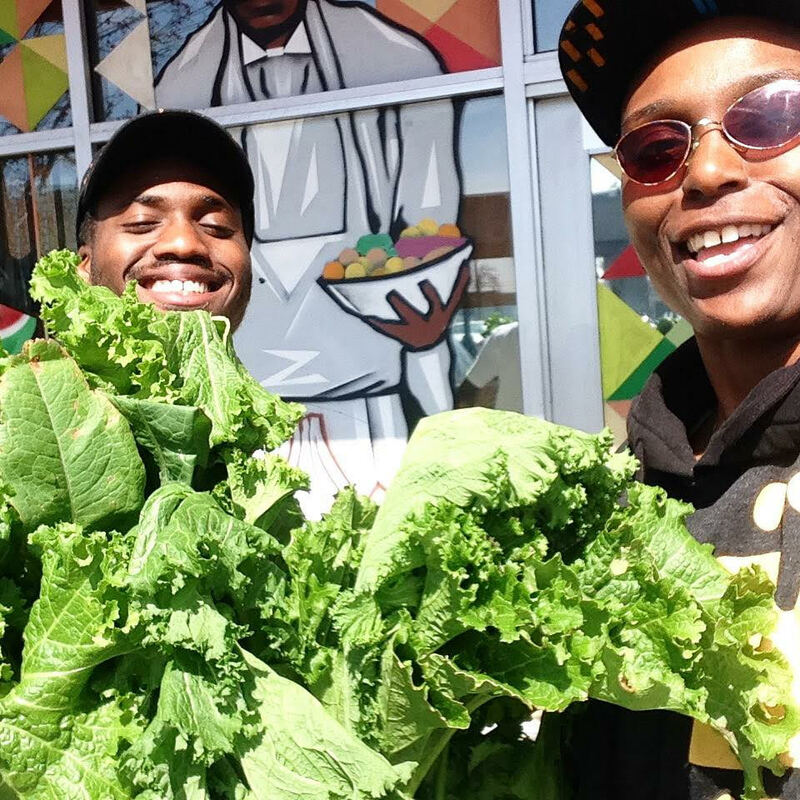 Phat Beets Produce runs a range of programs aiming to address the lack of access to healthy food, resulting health disparities, and the lacking opportunities for healthy employment for low-income communities of color in Oakland. We will explore how these two groundbreaking businesses put their money where their mouth is, and how we can all follow suit. You must pre-register for the tour. Registration closes on December 1. Space is limited, and we will not be able to accommodate walk-in guests. There is no transportation provided on this tour. You are responsible for getting there on your own. We will meet at Mandela Grocery Cooperative (directly across from the West Oakland BART station), and later we’ll make our way to Dover Street Edible Park by whatever means you prefer (it’s a 15-20 minute walk from Ashby BART station). Photos from Mandela Foods Cooperative.